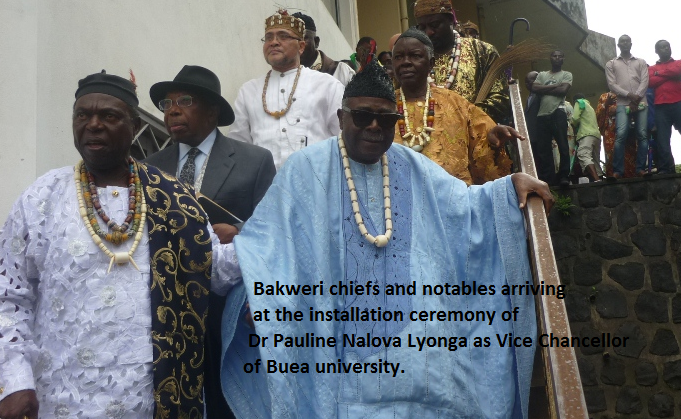 The installation ceremony of Dr Lyonga who has been described as a high-profile and one of the most accomplished Cameroonian scholars pulled a massive crowd even at the heart of the rainy season. 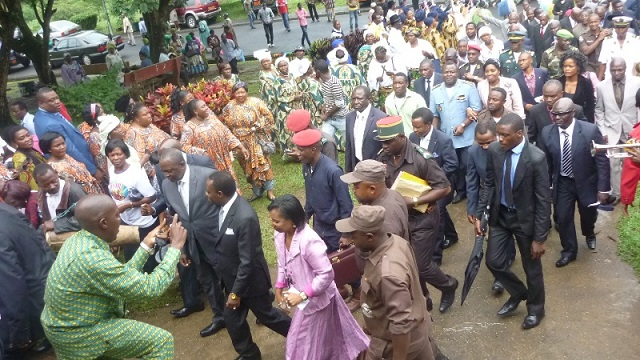 Although it rained cats-and-dogs, administrative and traditional authorities, the education family, the student body and other stakeholders of the University of Buea (UB) braved all the odds to witness powers change hands. The new Vice-Chancellor who has a sound academic and professional background and a mastery of the institution (she has been working in UB since its creation in 1993) is expected to embrace a lot of challenges. To begin with, is the constant rife, backbiting and backstabbing by those with vested interests within and without the institution. It has been noted since the year 2005 that the student body, teaching and non-teaching staff have often been manipulated to orchestrate series of strike actions. These strike actions have many times disrupted lectures, alter the academic calendar and led to situations where students lose their lives while in confrontation with the forces of law-and-order. 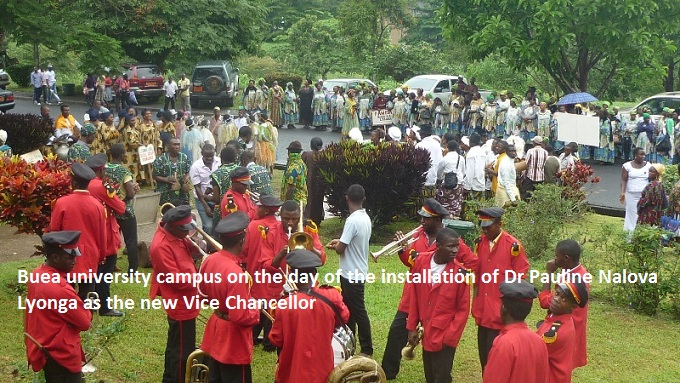 However, before her installation, Dr. Lyonga had explained that she knows the students are adult enough so they should avoid being used by others to front their concerns and parochial interests. She had disclosed to the press that she would use rules and regulations established and work with a team to fight malpractices like corruption and other ills in UB to enable it regain its reputation. Dr. Lyonga who hails from Small Soppo Wovilla in Buea subdivision had her BA from the University of Yaounde, an MA from Sheffield University in Great Britain, and a Ph.D. from Ann Arbor University, Michigan, USA. Before her appointment, she was the Deputy Vice-Chancellor in charge of Teaching, Professionalisation, and Development of Information and Communication Technologies. She had also served as the Director of Academic Affairs. Dr. Lyonga takes over from Prof. Vincent Titanji who had served for 6 years and is going on retirement. Prof. Vincent Titanji also took over from Prof. Cornelius Lambi whose days in office as Vice-Chancellor were short-lived, only 13 months, and was booted out due to a strike action over a controversial list of medical students admitted into the institution. Before Prof. Lambi, was the most applauded and respectful, and seasoned administrator, Dr Mrs Dorothy Limunga Njuema. Dr. Mrs Njuema who is the pillar of the UB, ran the university from its creation in 1993 till 2005. 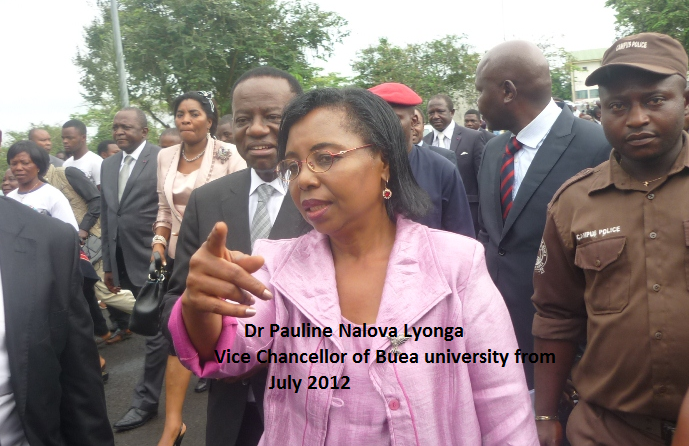 It is during her reign that the University of Buea gained its reputation nationally and internationally. 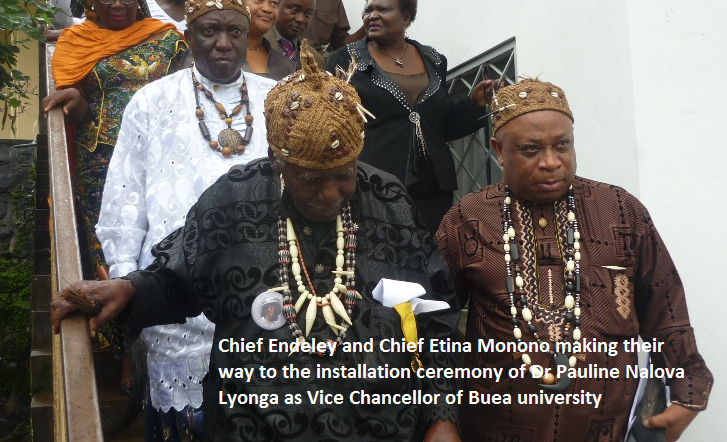 Her name is still synonymous to the appellation UB or University of Buea. It is therefore believed that with another woman who had worked closely with her now put in place, the tides could be turned around for UB to regain its lost glory.